OXFORD, Miss. 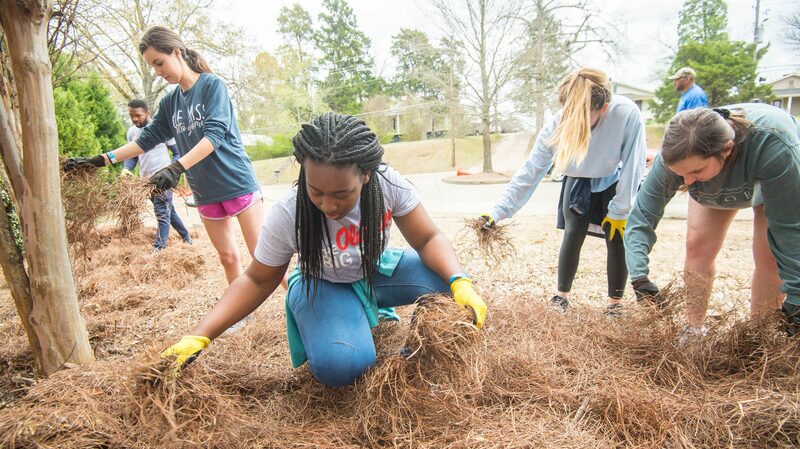 – Hundreds of University of Mississippi students will disperse throughout the LOU community on Saturday (March 23) to show their appreciation through action during the annual Big Event community service day. 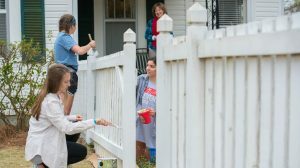 The Big Event is the largest day of community service in the state and draws as many as 2,000 student volunteers each year to participate in service opportunities, from those as small as park cleanup projects to larger efforts, such as this year’s quest to provide new bookshelves for the Lafayette County and Oxford Public Library. “The Big Event is such an important day to say ‘thank you’ to the LOU community,” said co-director Abby Garrett, a senior from Birmingham, Alabama. “The community is what makes this university so special, and the Big Event helps foster that. The library project is a new aspect to this year’s event. It is the first time the coordinators have selected a specific project to raise money for and complete. The committee raised money through donations to purchase new bookshelves that will arrive later this year. “The public library is a great resource for the community, and we are blessed to be making their facilities stronger,” co-director Zach DiGregorio said. The project will provide a new space for the library to store its large-print books for visually impaired readers in a more convenient location for those members of the community, said Laura Beth Walker, branch manager for the library. The Big Event begins at 8 a.m. Saturday inside the Gillom Athletics Performance Center. More than 1,000 volunteers, to go along with approximately 400 students that make up the various Big Event subcommittees, will work to complete roughly 250 projects. Students interested in volunteering can sign up through the MyOleMiss portal under the “Get Involved” tab and click “Big Event Volunteer Registration” to complete the form. Students, faculty and staff are also welcome to participate as walk-in volunteers the day of the event. Garrett and DiGregorio, both seniors who have participated in previous Big Events, said it gives them pride to see so many of their peers participating. DiGregorio said he has also grown personally from contributing, and it has helped him learn to love his college hometown. “I have gained an immense amount of knowledge on how organizations that serve the lives of others function,” he said. “But I have also gained a heart for this community. The Big Event planning team consists of six executive committees with some 30 committee members, 100 subcommittee members and 220 project leaders. Event adviser Alexa Arndt, interim director of Office of Leadership and Advocacy, said she gets joy from watching the students’ fulfillment in what they have accomplished. “What I’m most excited about is seeing our student leaders get to see their efforts come full circle,” she said. “Them getting to see the actualization of the whole event is my favorite part – to see the time and energy they put in manifest itself. Ole Miss students participating in the Big Event will once again work at local schools. “The University of Mississippi is a valuable partner with our school district in so many ways,” said Heather Lenard, Oxford School District public information officer. “We are fortunate to share a community and benefit from the service projects being done with the Big Event. The Big Event began in 2011 with approximately 1,000 volunteers and has grown to around twice that number. Volunteers receive breakfast and a free T-shirt before heading out to work on their respective community service projects. For more information, visit http://bigevent.olemiss.edu/. Money was raised for the library project through donations from sponsors, Ole Miss fraternities and sororities, students, faculty, staff and community members.